With a major chapter in the Avengers narrative about to end, Marvel could be gearing up to go Dark. According to That Hashtag Show, Marvel Studios has reportedly completed a script for the Dark Avengers, a group of supervillains masquerading as heroes. While no plans for a Dark Avengers movie have been announced, the fact that a script has been completed is a big step toward bringing the characters to the big screen. Seeing as many of the core Avengers team might retire following Avengers 4, Marvel will need to start building a new group. What’s funny is that the Dark Avengers would see Marvel going down a road already explored by the DCEU. 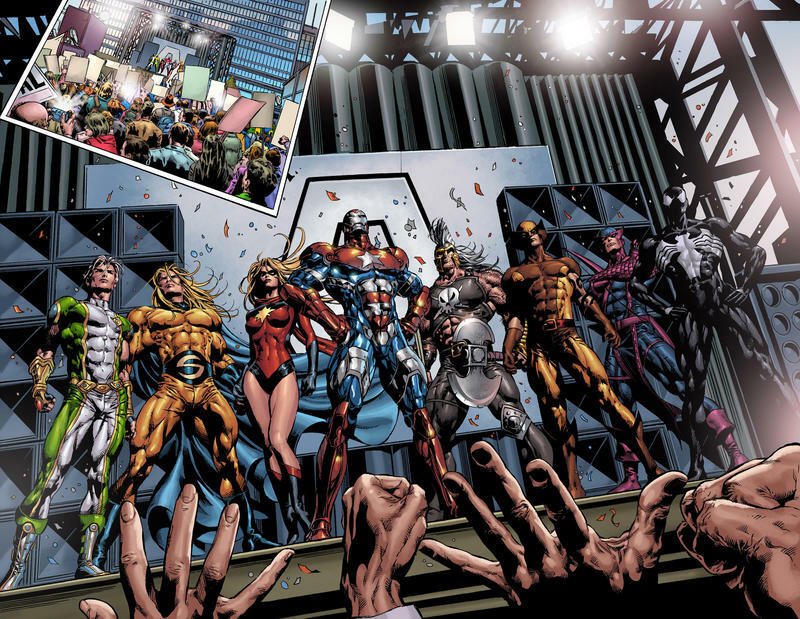 In the comic arc for the group, the team find themselves performing good deeds as part of a prison reform system, similar to the Suicide Squad. So, they’re anti-heroes in a way—and the polar opposite of someone like Captain America. It would be odd, however, for Marvel to debut such a group while trying to move on from characters who have been around for so long. For example, in the comics, a man named Mac Gargan, who was in possession of the Venom symbiote, masqueraded as Spider-Man. We also see Moonstone pretend to be Ms. Marvel, while Norman Osborn acted as Iron Patriot. But if Marvel does go the Secret Invasion route with Captain Marvel, introducing the Dark Avengers would make sense, as they’re the ones who helped repel the invasion from the Skrulls. At this point, it’s hard to say what Marvel has planned beyond Avengers 4. One thing’s for sure: With X-Men potentially coming to the MCU, Marvel has plenty of material to work with in the future.